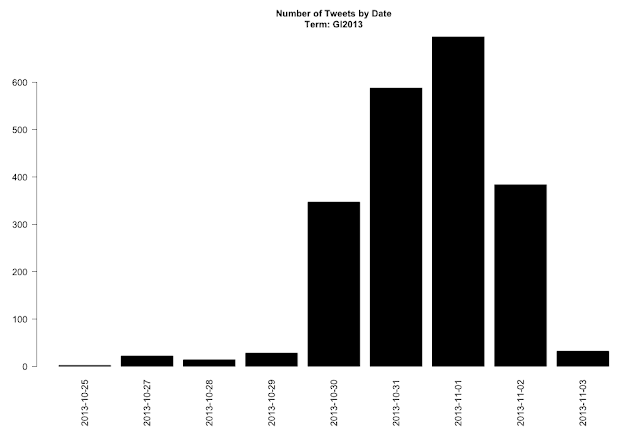 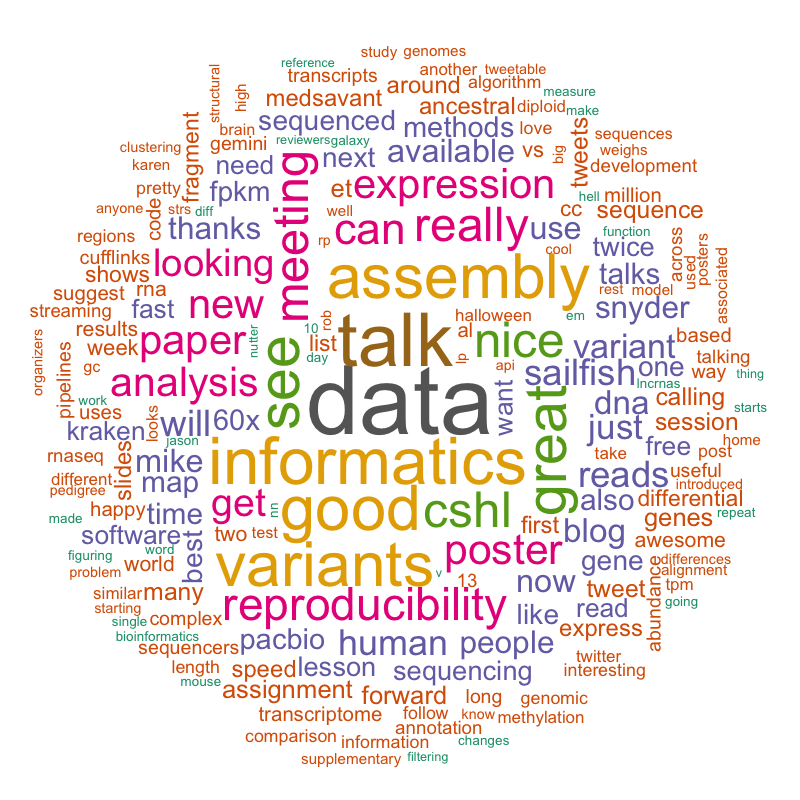 I archived and analyzed all Tweets containing #GI2013 from the recent Cold Spring Harbor Genome Informatics meeting, using my previously described code. 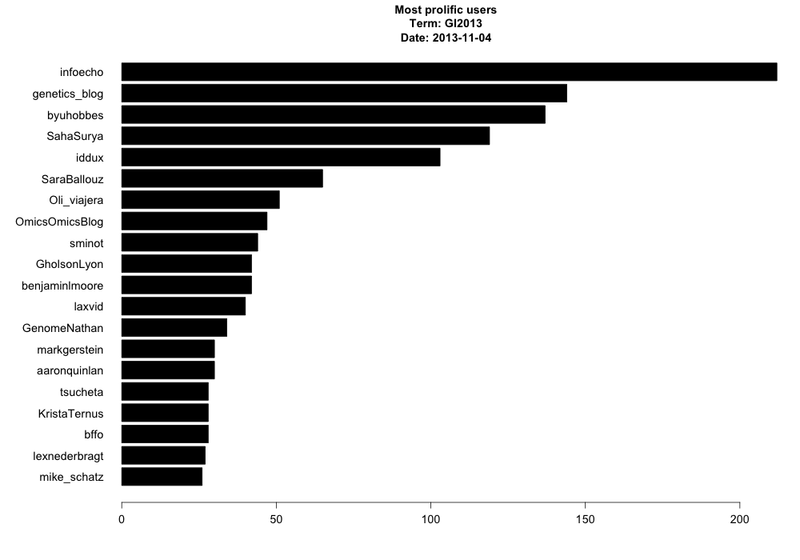 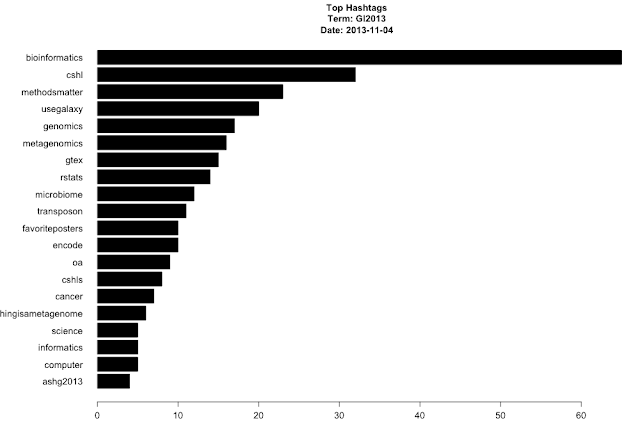 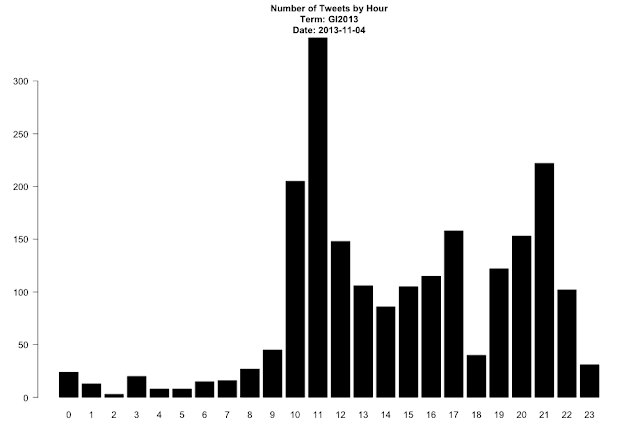 Friday was the most Tweeted day. Perhaps this was due to Lior Pachter's excellent keynote, "Stories from the Supplement."